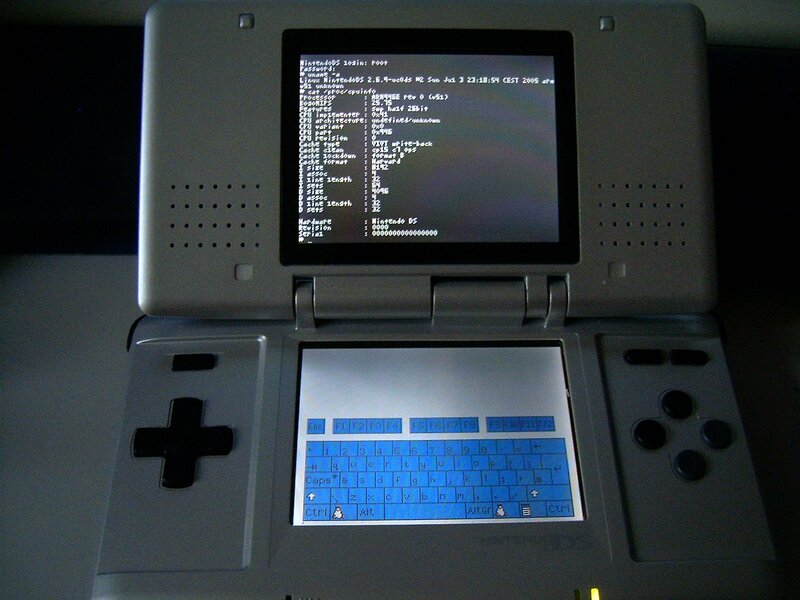 The DSLinux project has ported the Linux operating system to the Nintendo DS and Nintendo DS Lite. 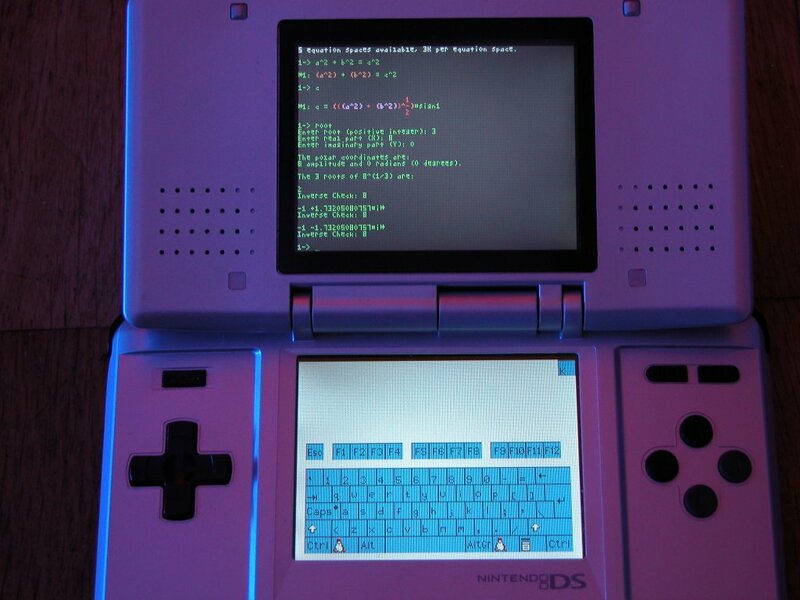 Newer models such as DSi and 3DS might work in DS-compatibility mode. 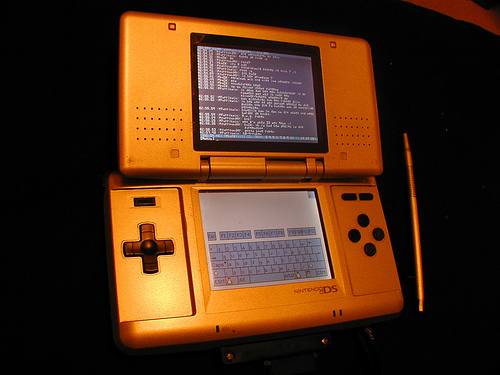 Apart from real hardware, DSLinux also runs on some NDS emulators, like desmume. 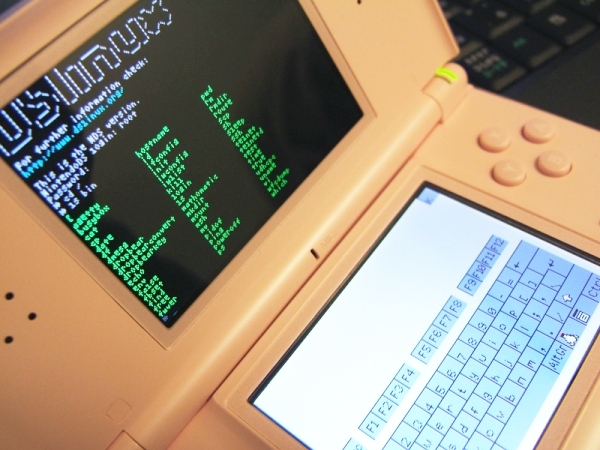 DSLinux is functional, has excellent documentation, and brings a wealth of useful Linux programs to the DS. See the FAQ to get started. There are no active developers at the moment. New contributors are welcome to pick up the ball and make use of resources provided here. There is plenty of documentation for new developers in the wiki.